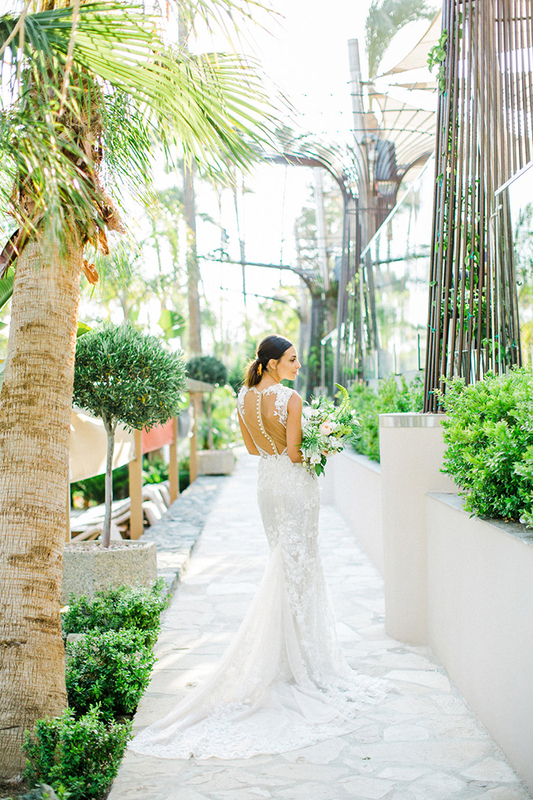 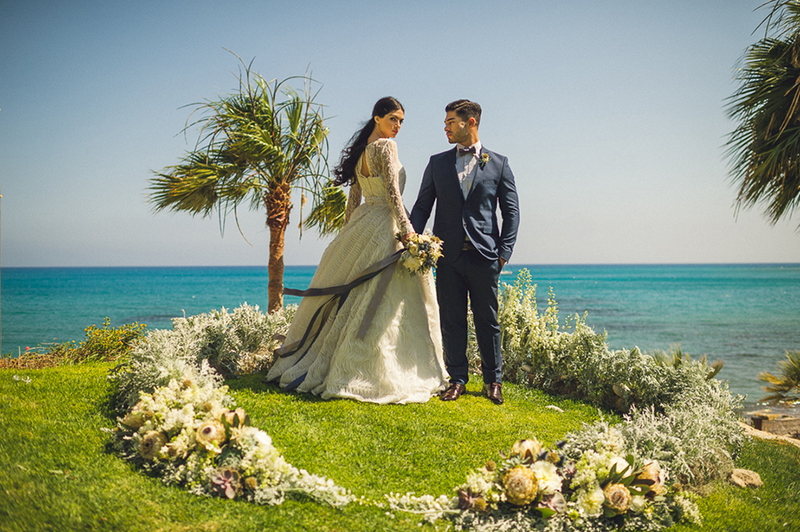 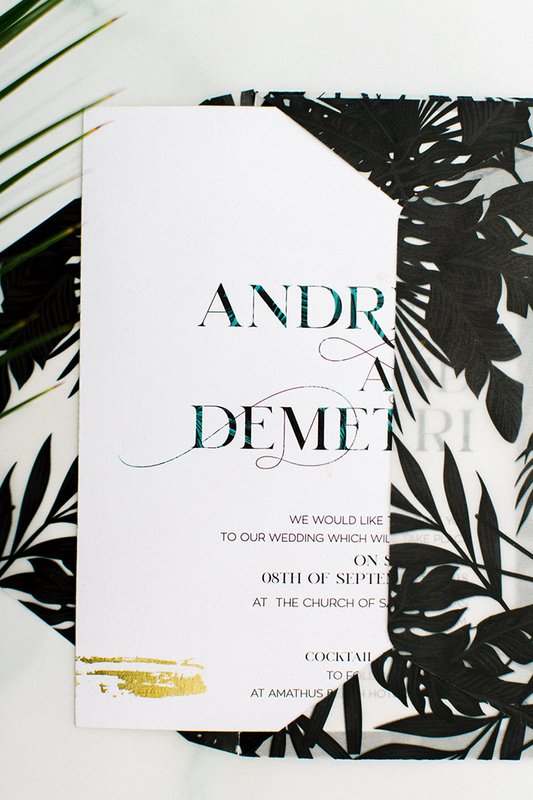 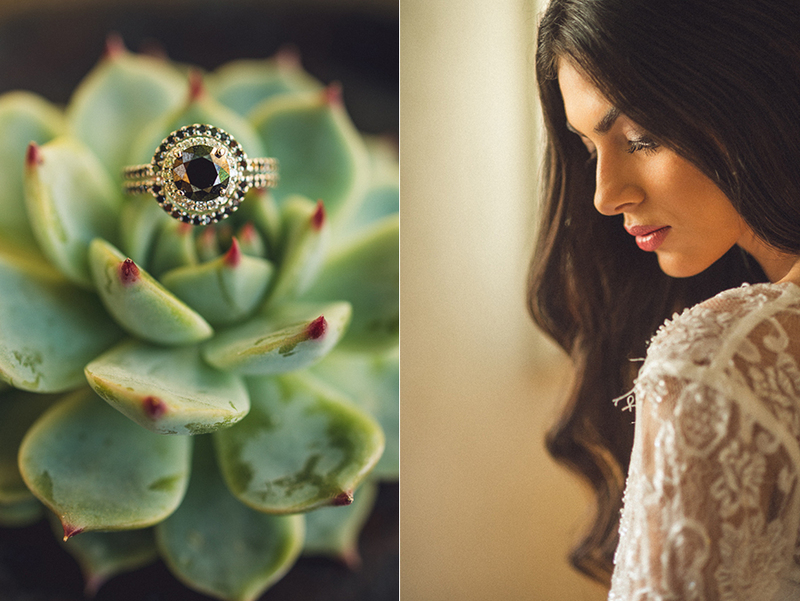 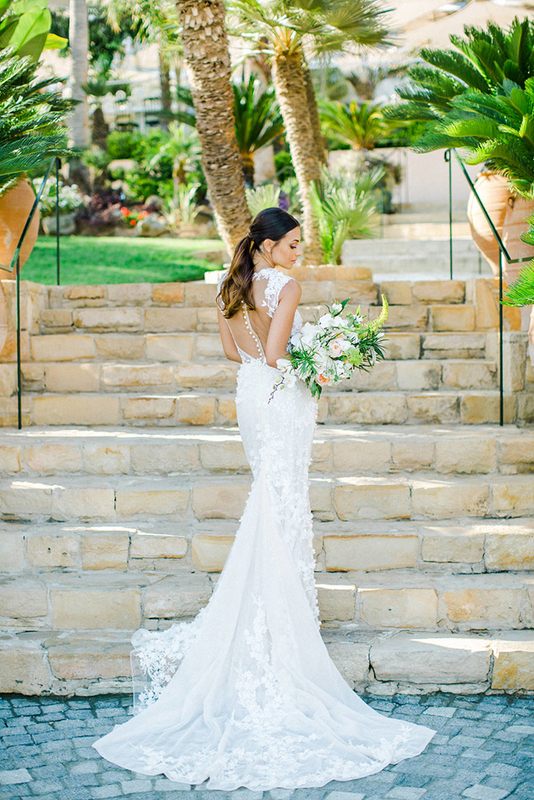 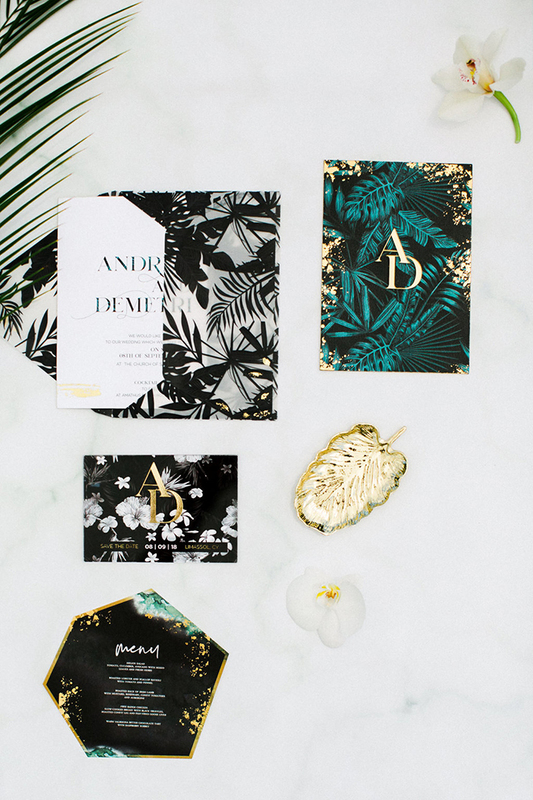 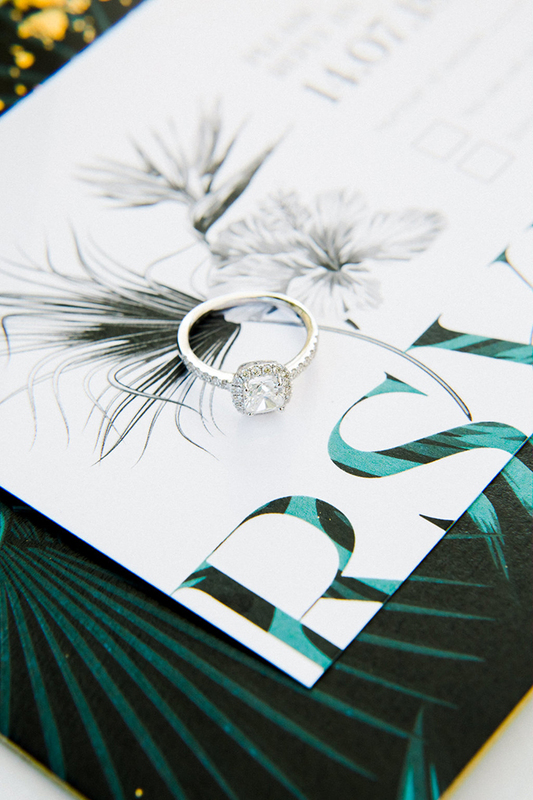 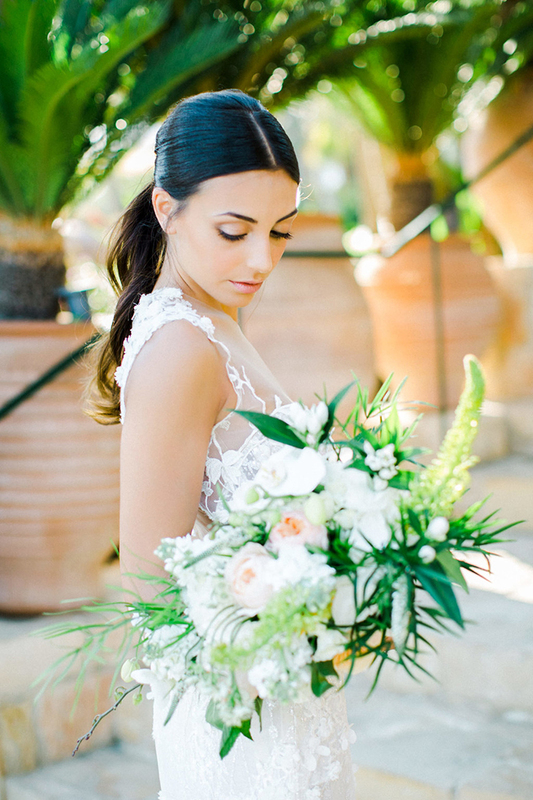 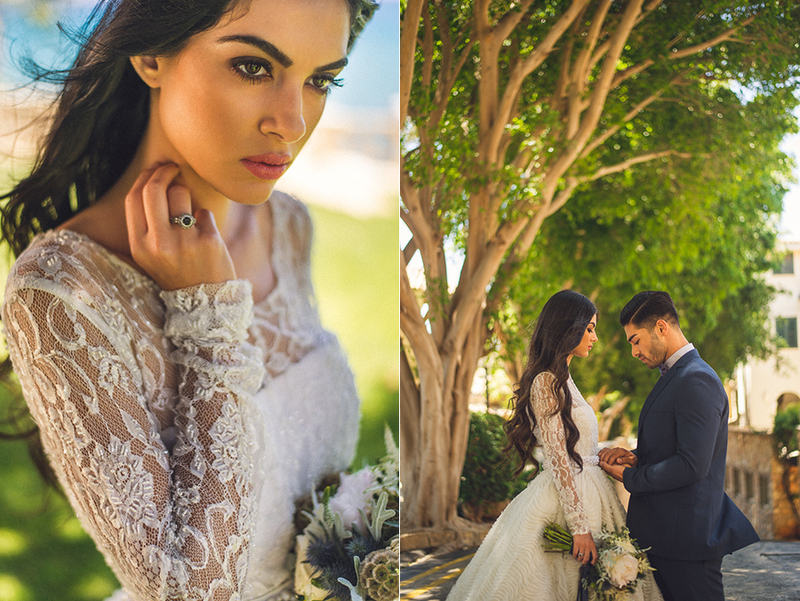 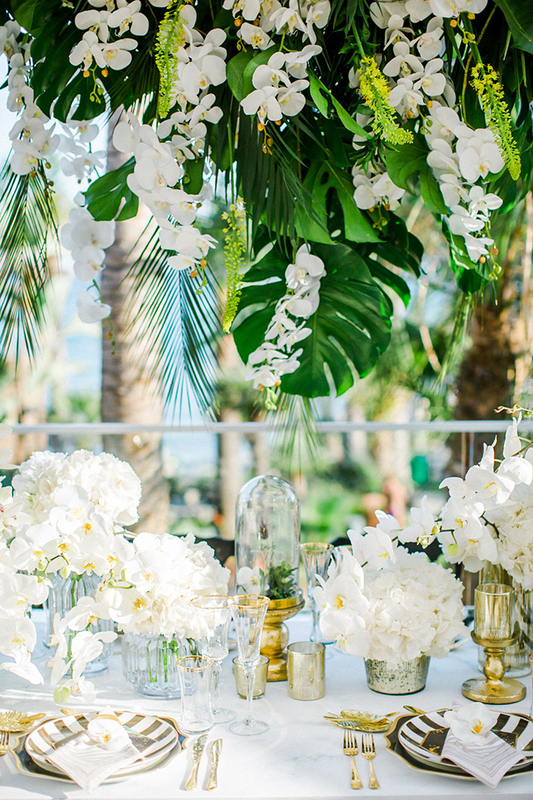 White orchids, tropical leaves, elegant black details and touches of gold created the most luxurious and dreamy tropical wedding scene you’ve ever seen.For this styled shoot in Cyprus, we chosethe most beautiful setting next to the beach and surrounded by the lush gardens of the gorgeous Amathus Hotel in Cyprus.It is truly a hard task to pick what we love the most about the shoot: From the stunning selection of tropical florals, to the luxury wedding invitations inspired by palm fronds and ferns, to the breathtaking Berta Bridal wedding dress featuring a plunging neckline, strap sleeves, and an illusion open back with pearl buttons… Everything was dramatically beautiful! 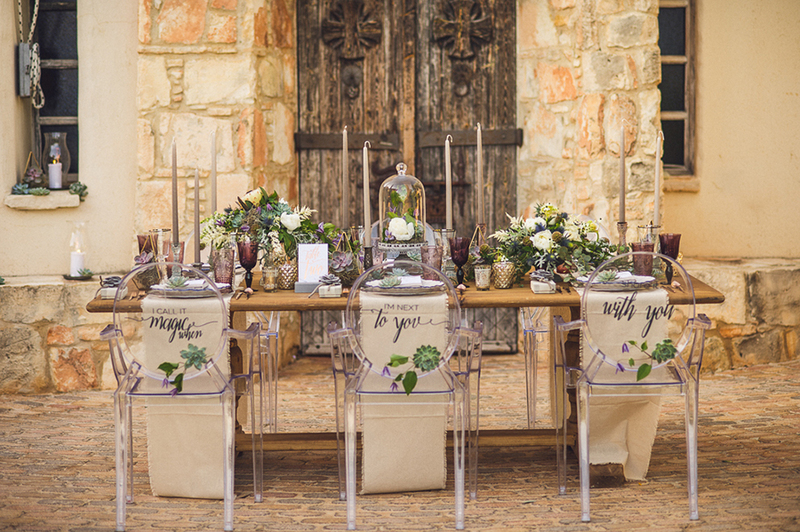 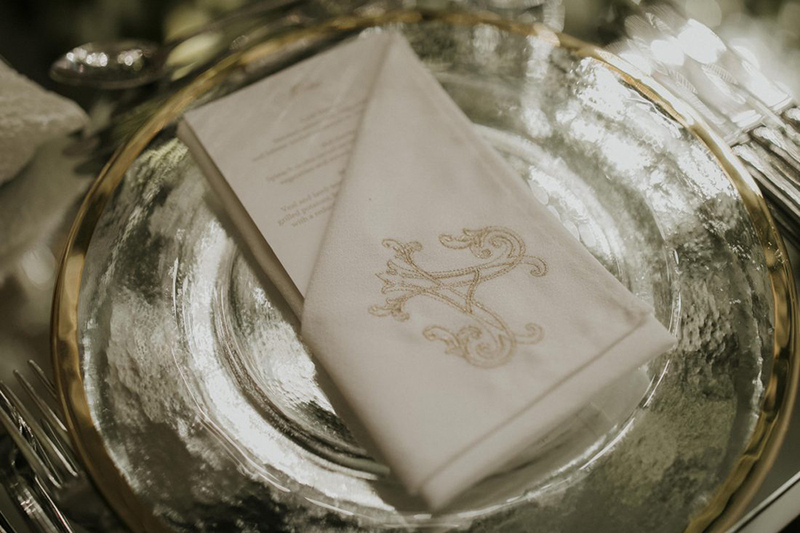 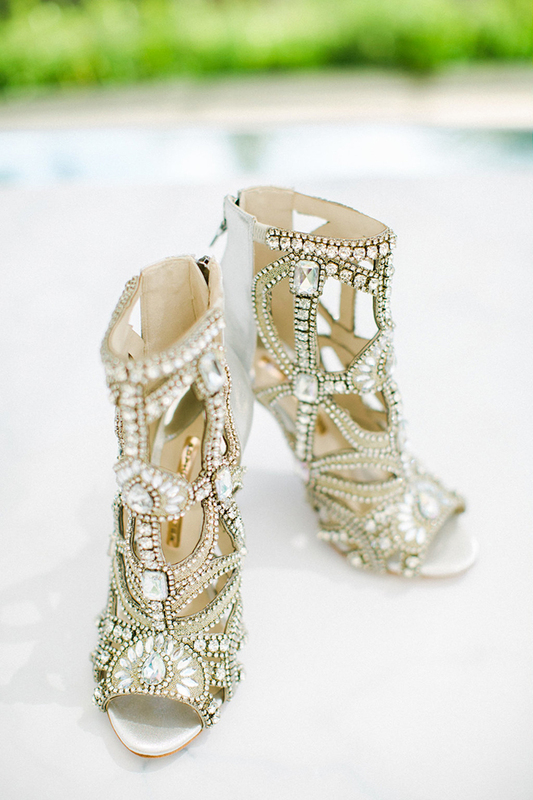 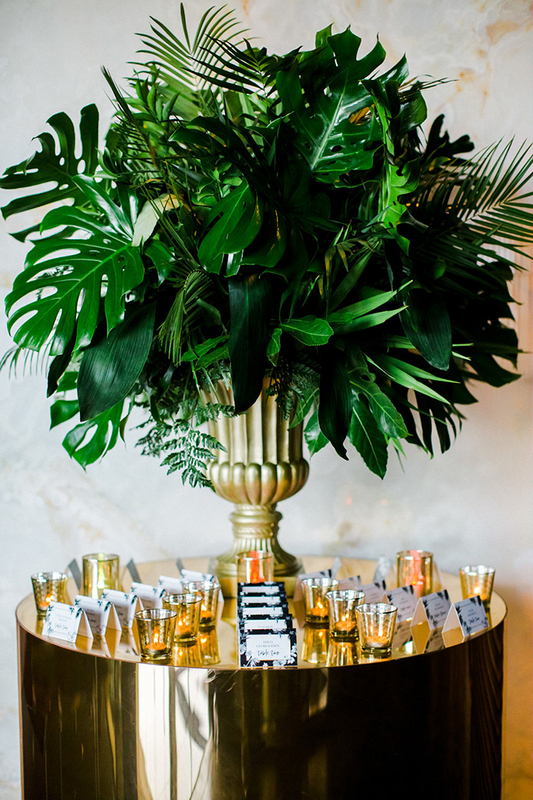 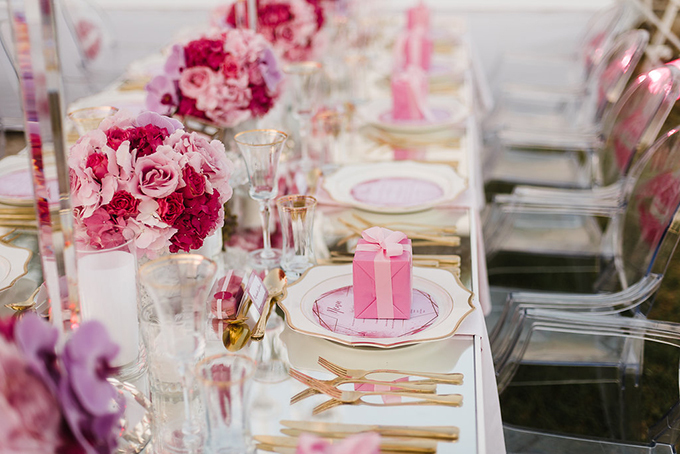 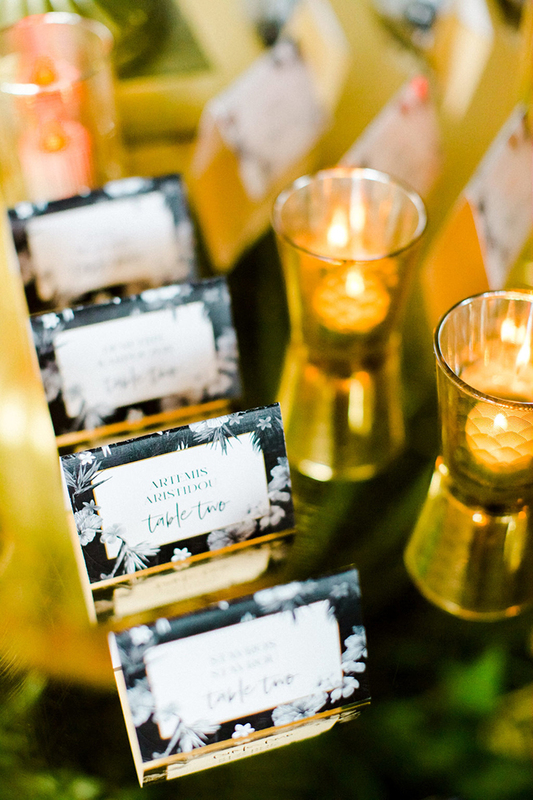 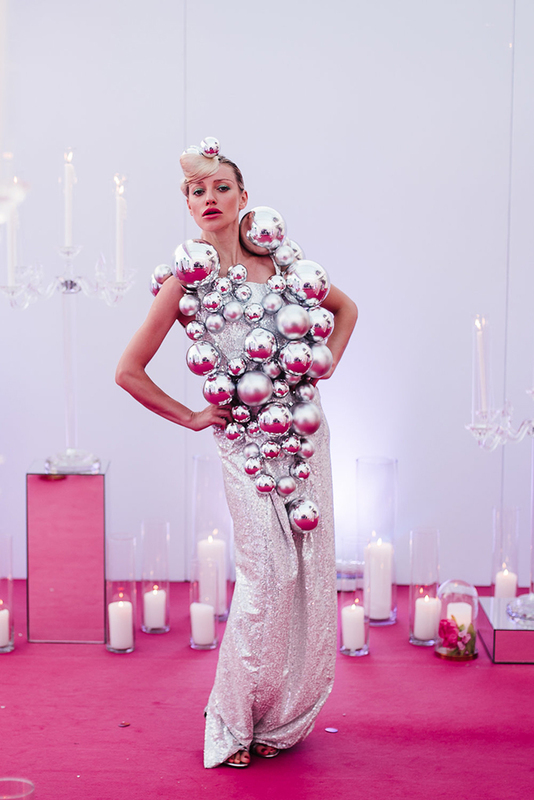 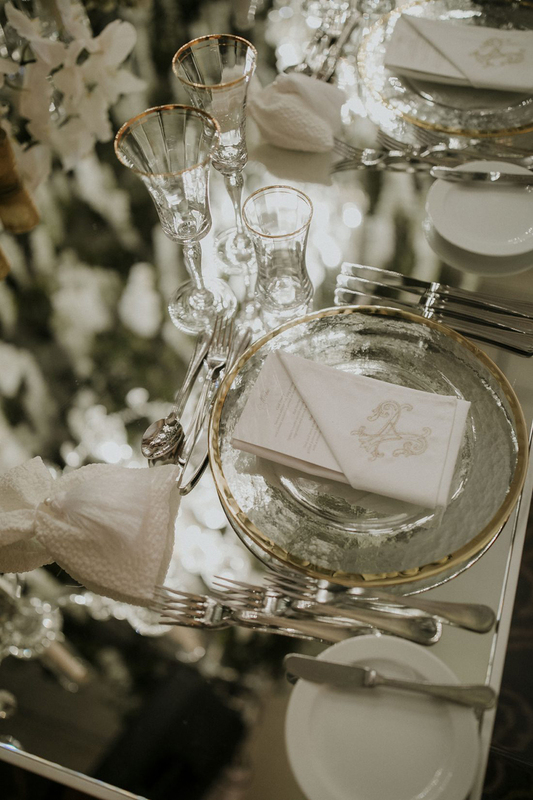 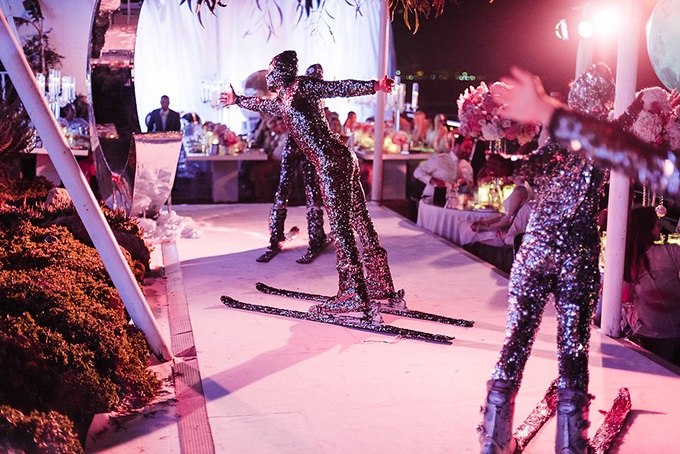 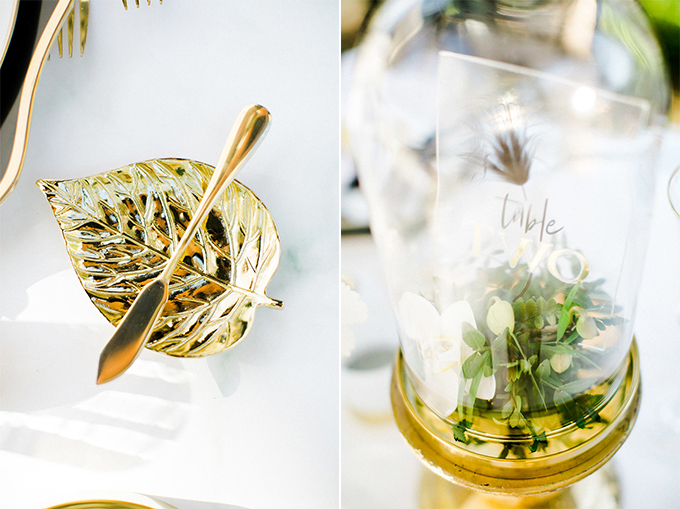 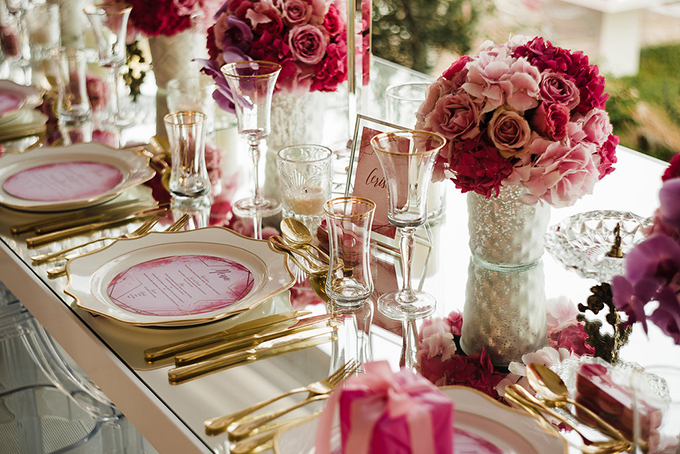 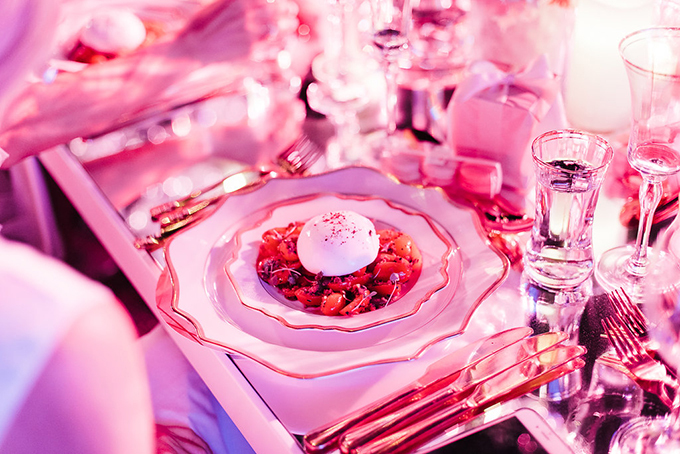 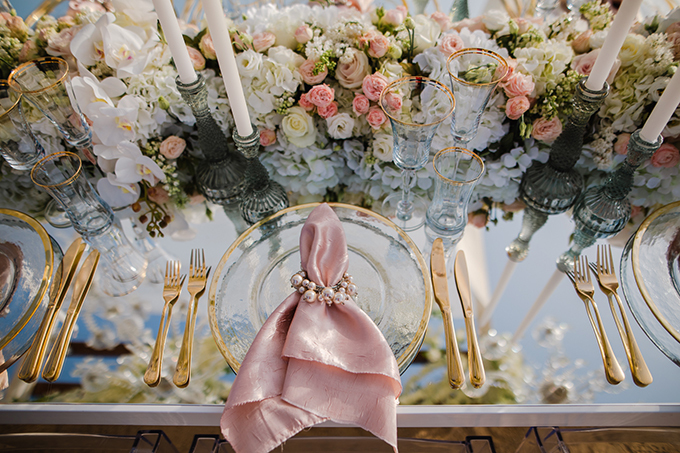 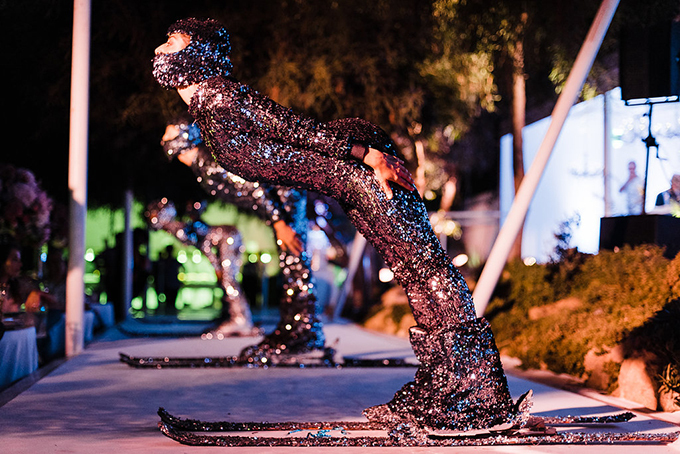 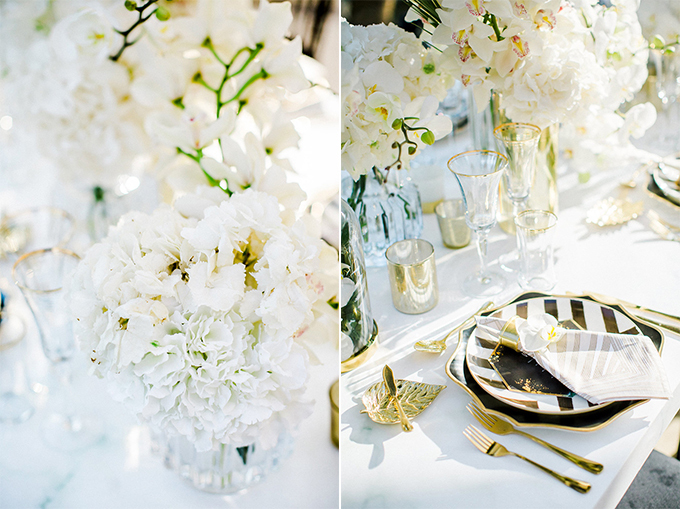 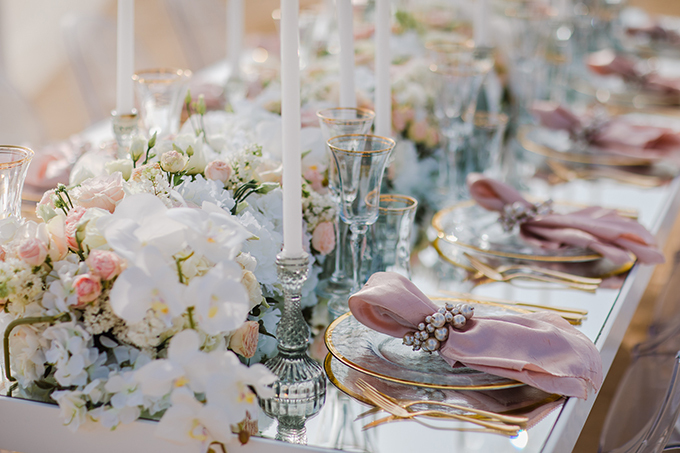 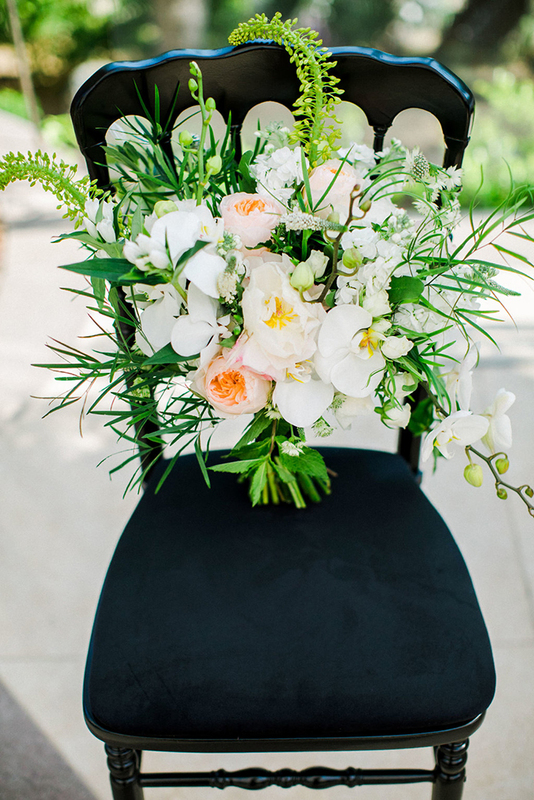 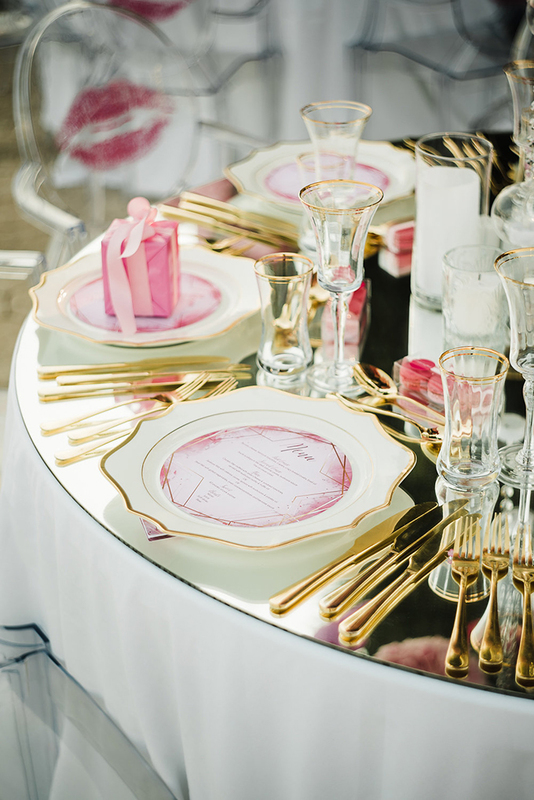 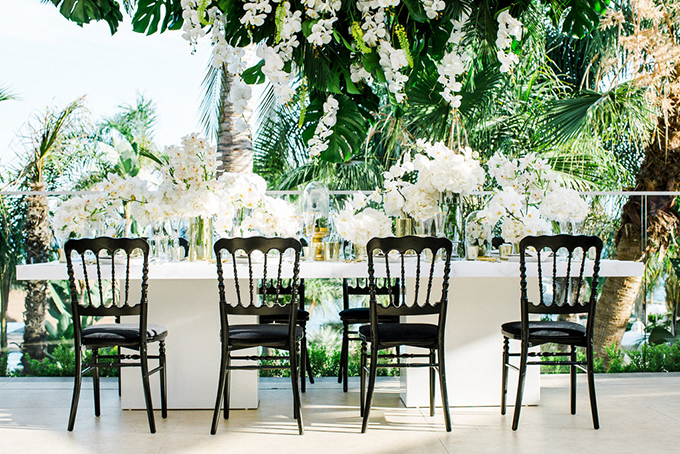 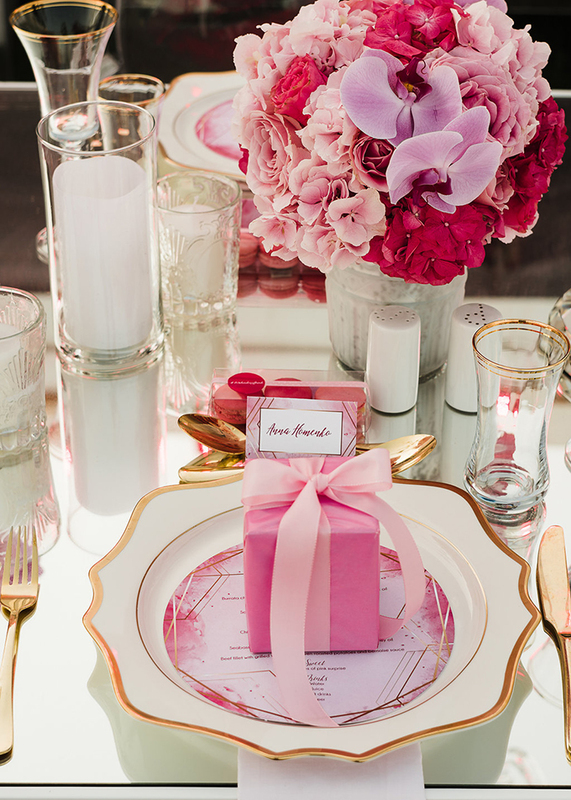 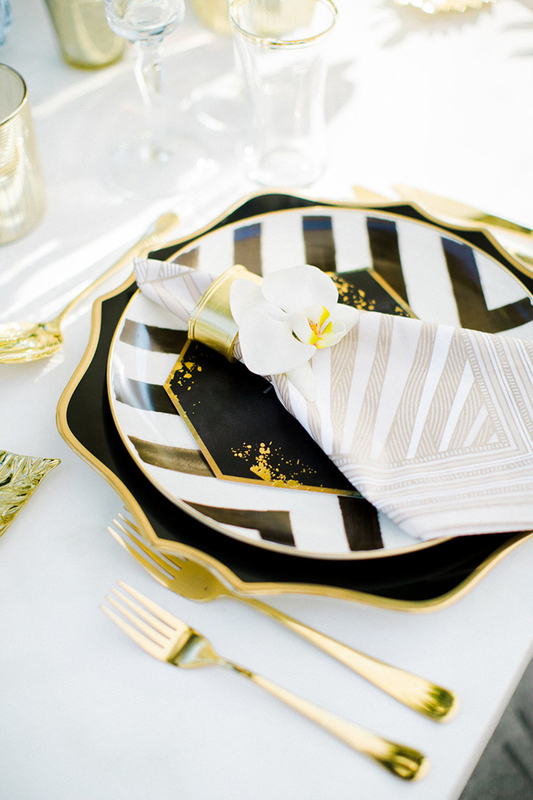 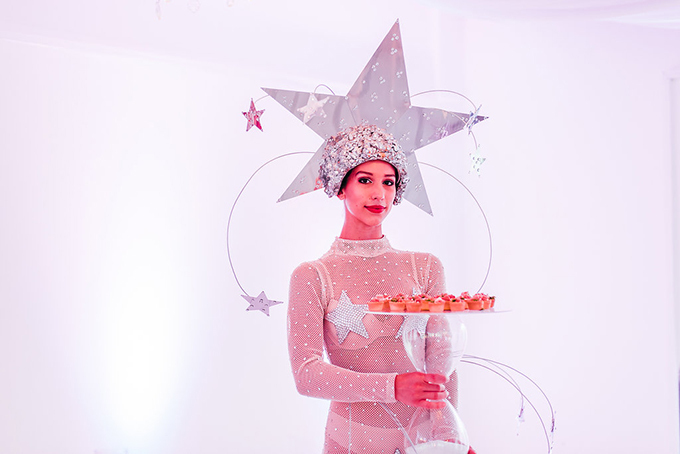 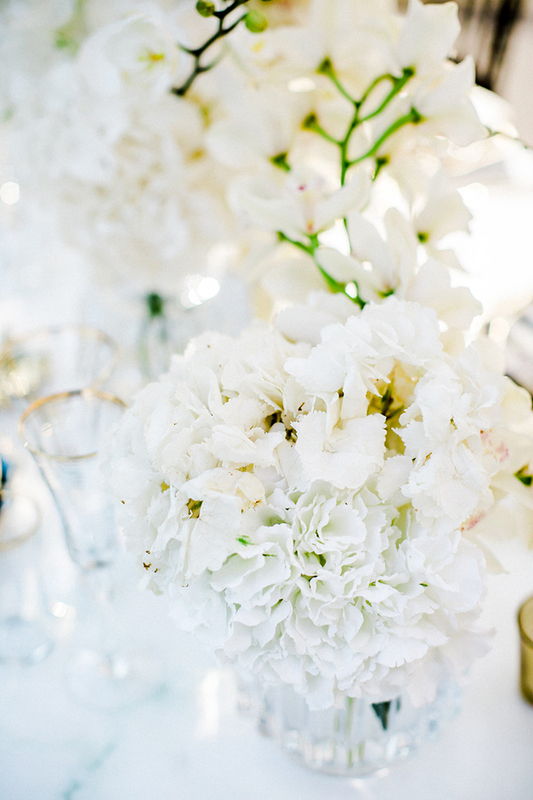 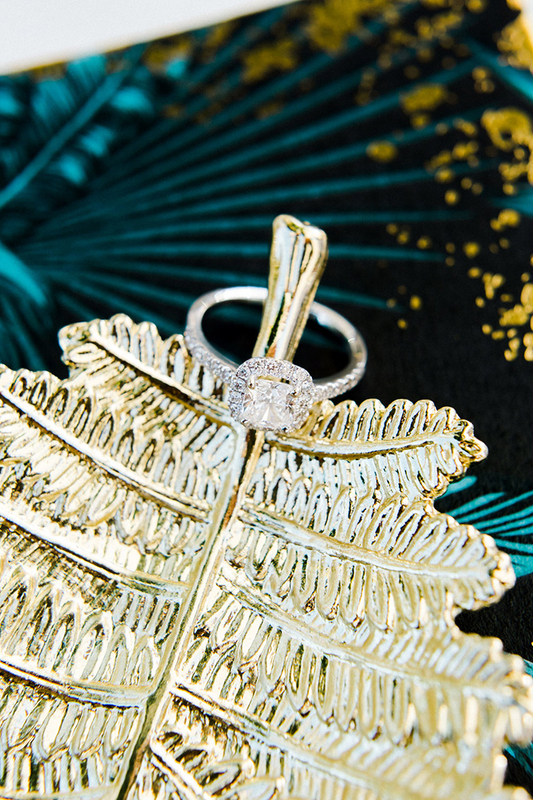 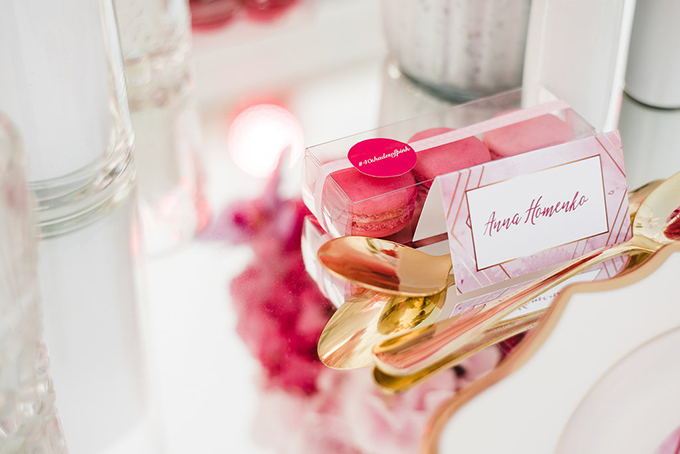 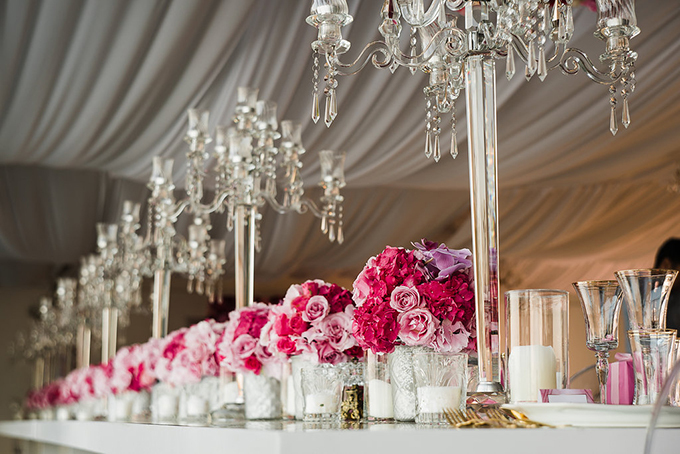 For all the luxury-lovers, this incredible table setting will be a dream that came true! 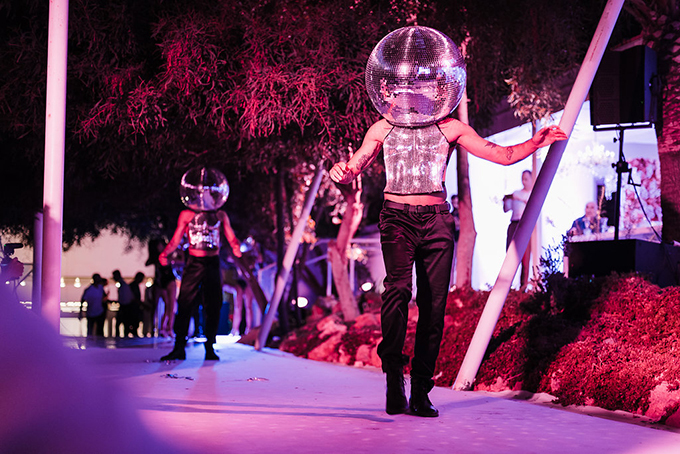 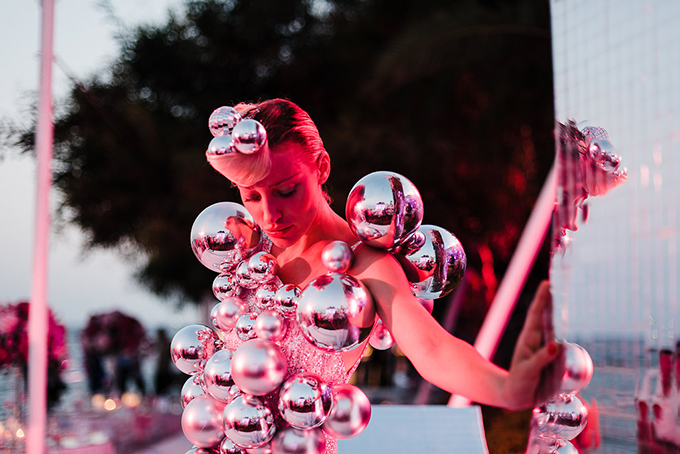 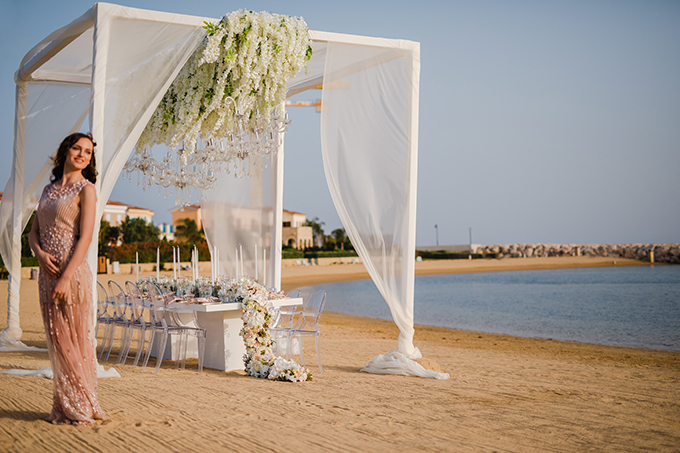 A perfect settingwas created next to the beach that will emits elegance and opulence. 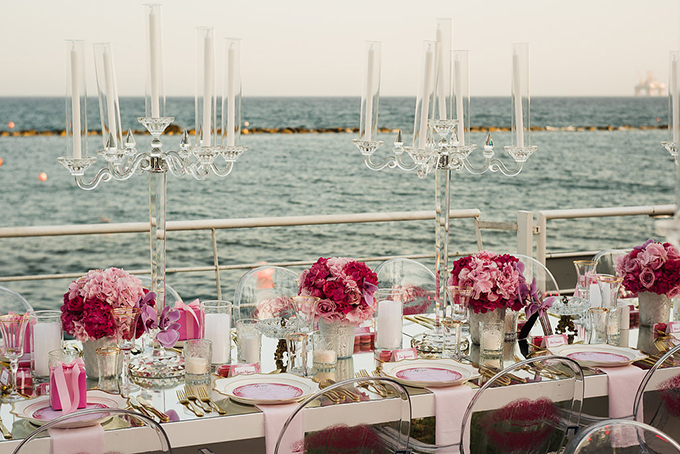 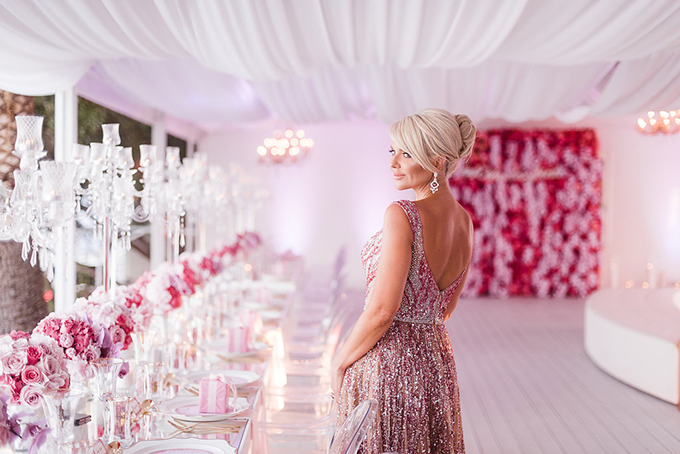 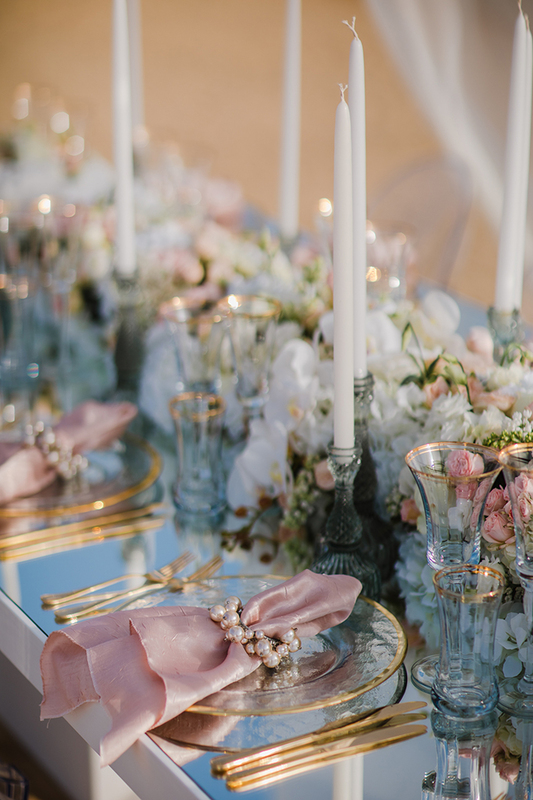 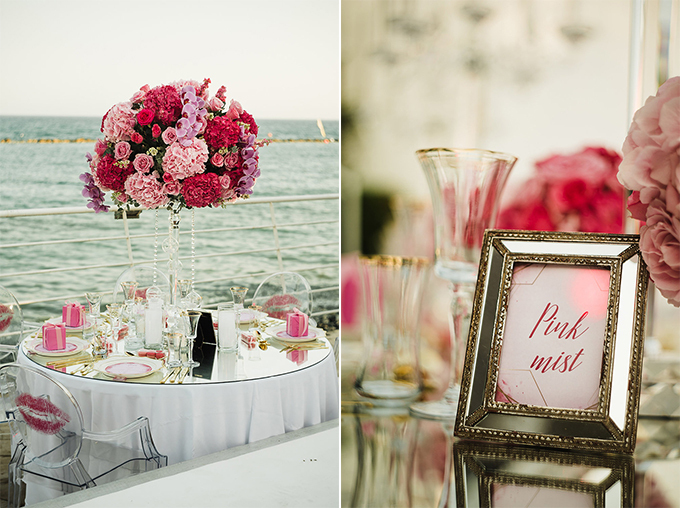 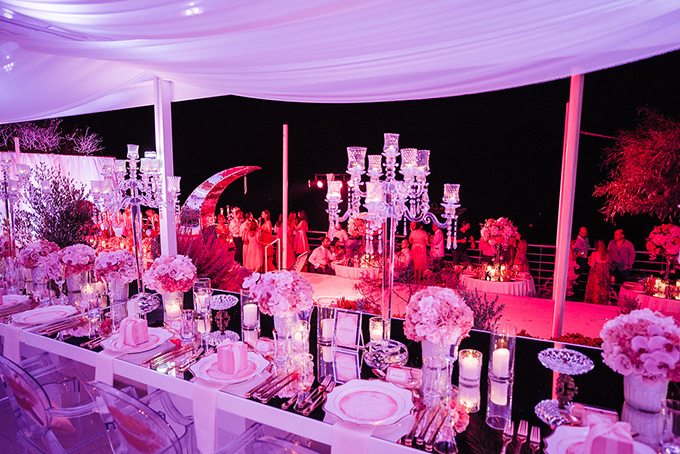 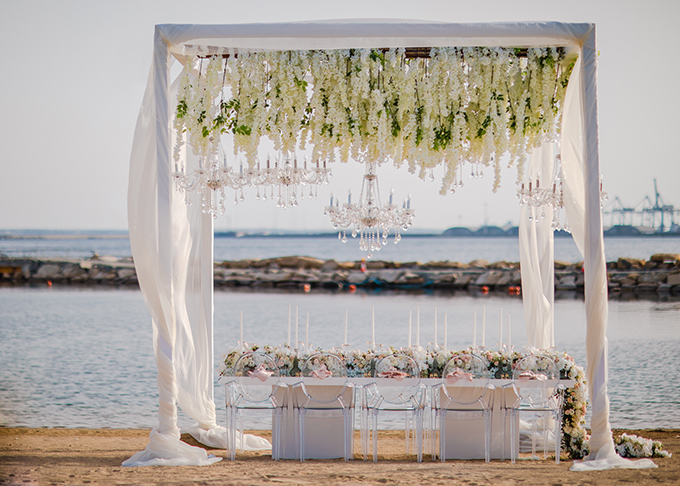 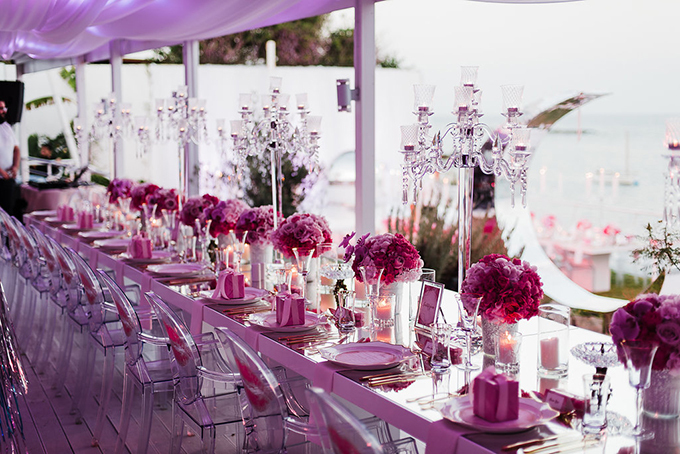 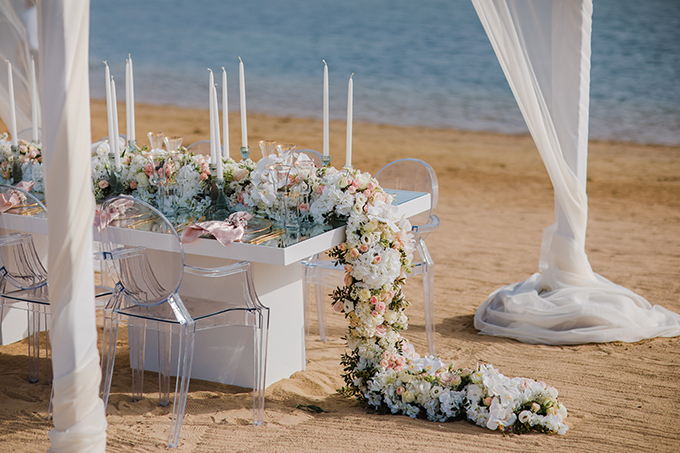 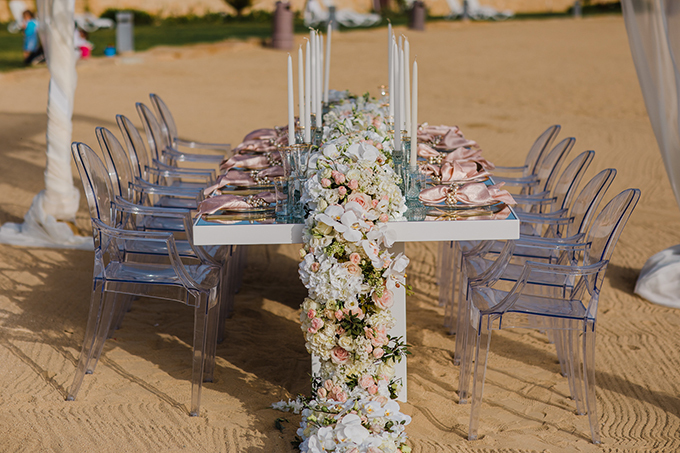 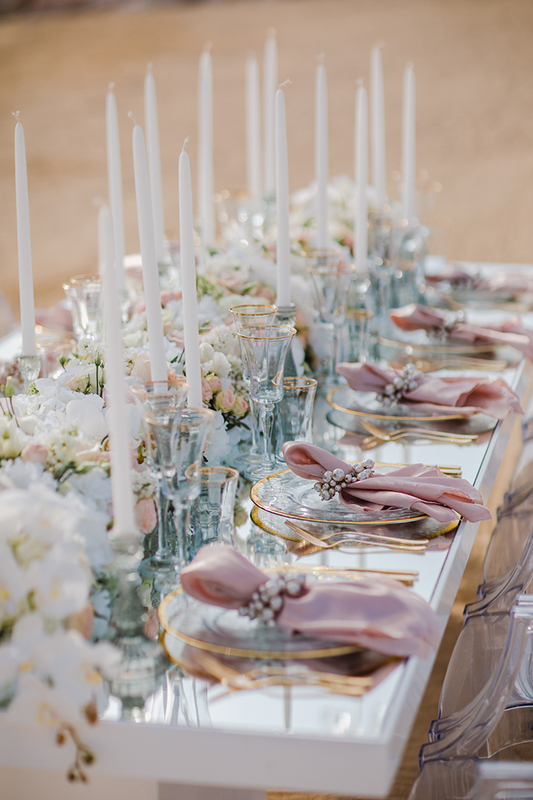 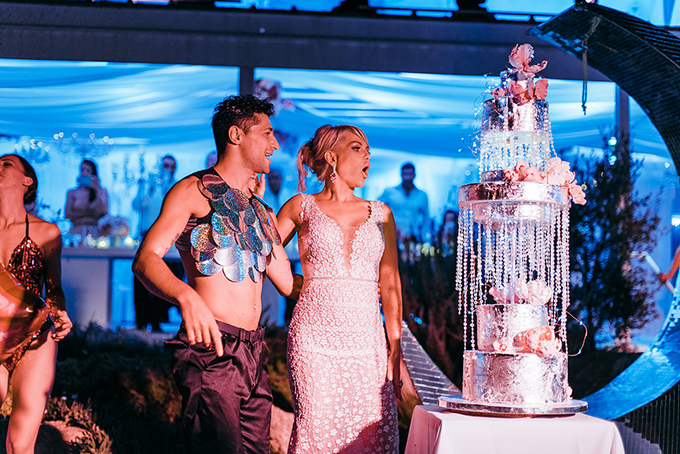 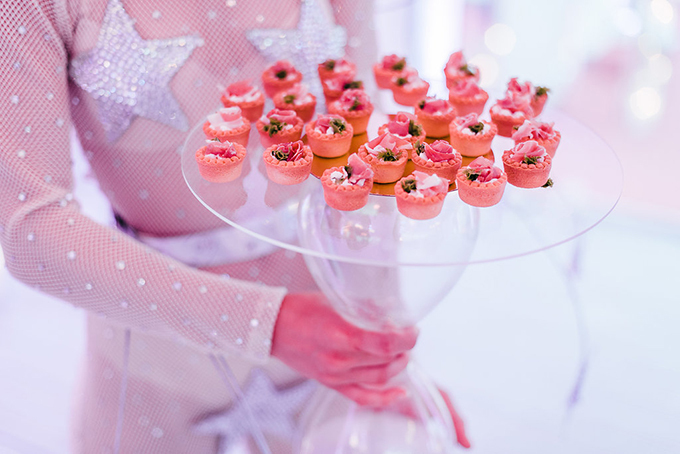 A white table adorned with an impressive, big garland full of fresh flowers, white candles, gold tableware and pink details was set in the middle of a sandy beach and completed with chic, ghost chairs. 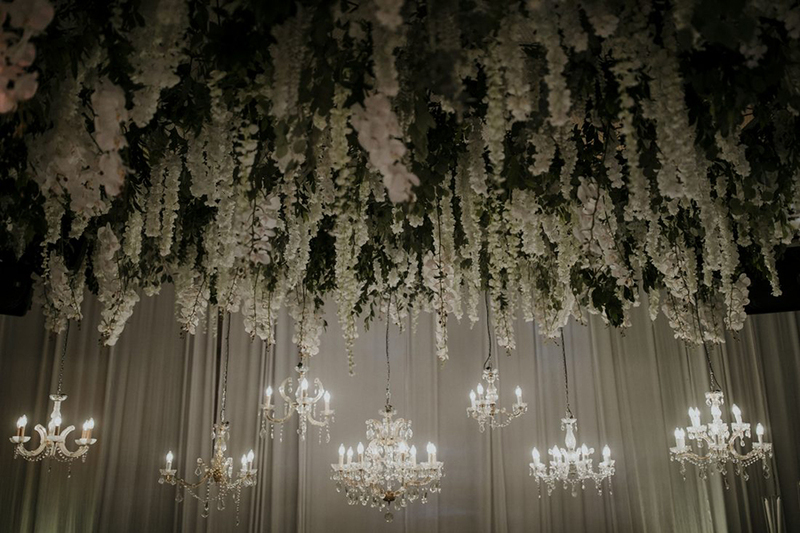 The luxury wedding décor was completed withthe spectacular arch with the hanging, crystal chandeliers and the hanging, beautiful flowers. 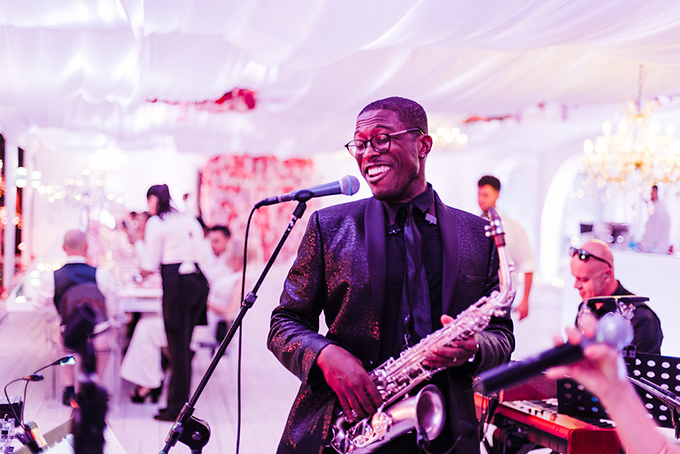 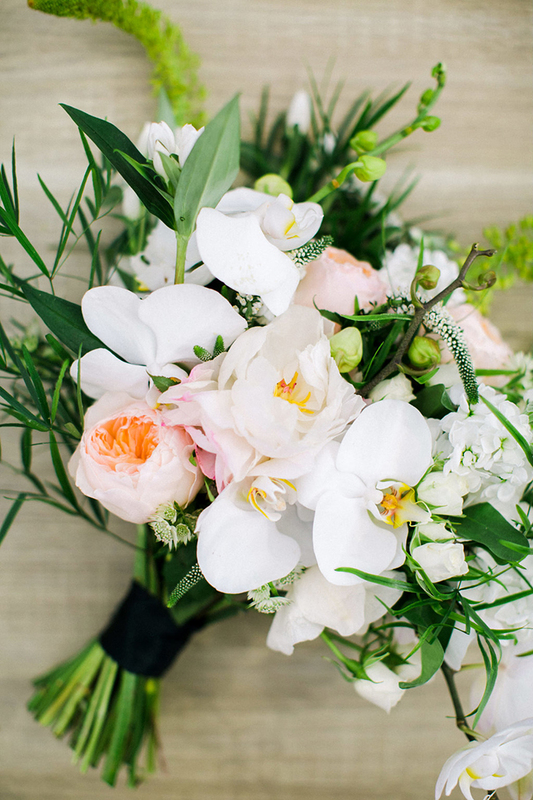 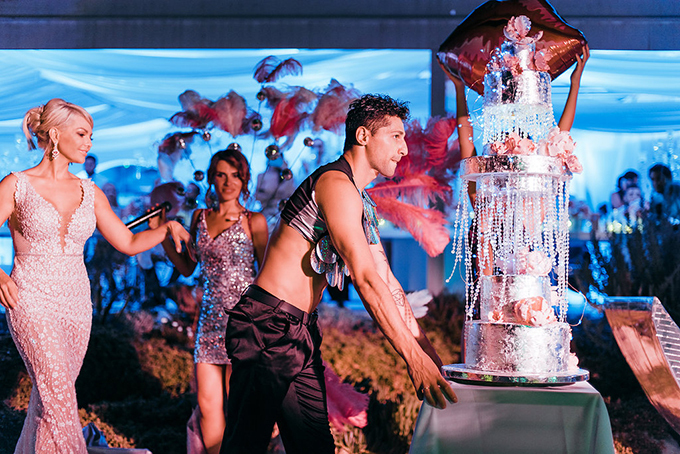 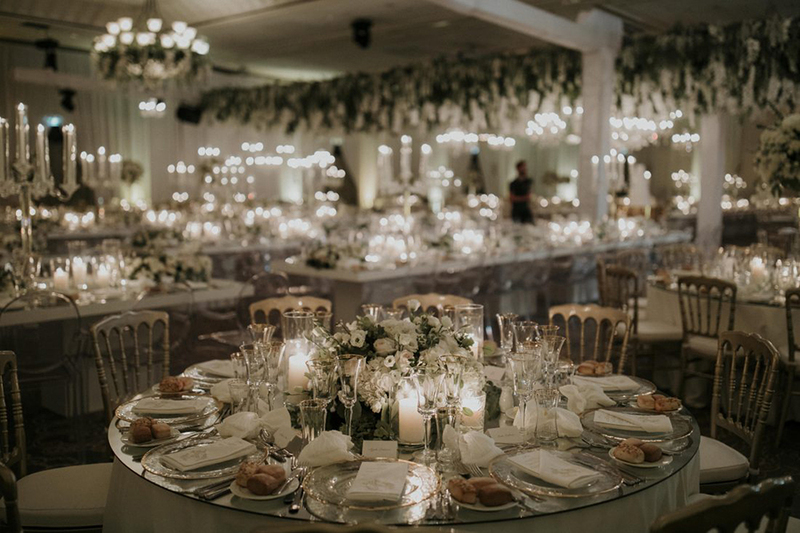 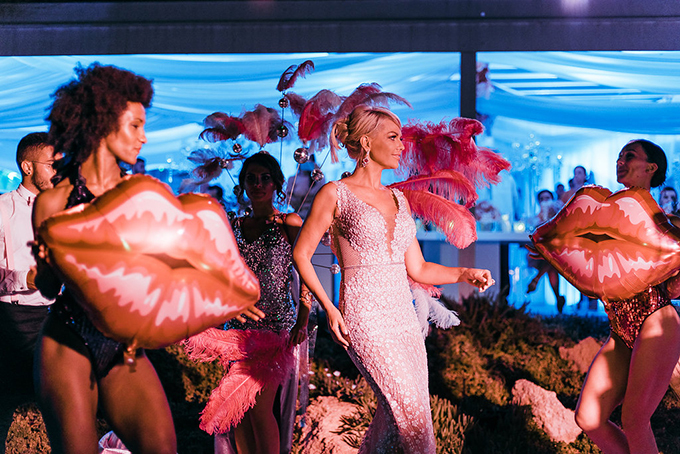 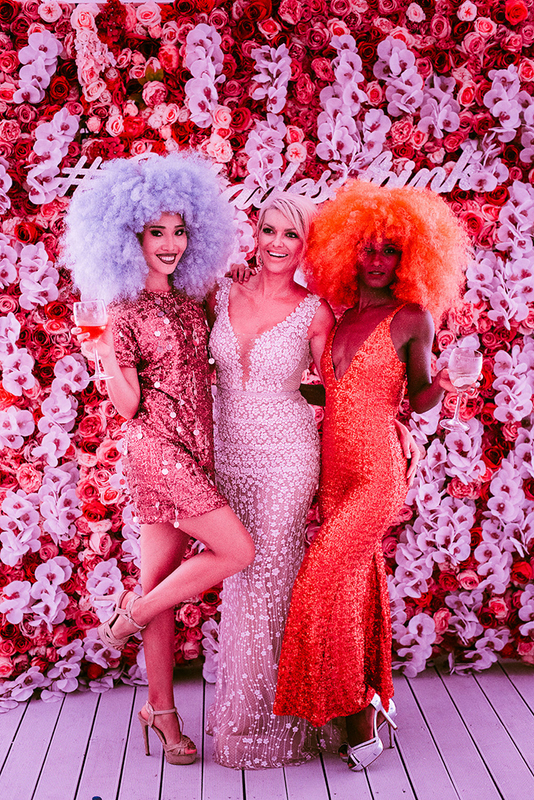 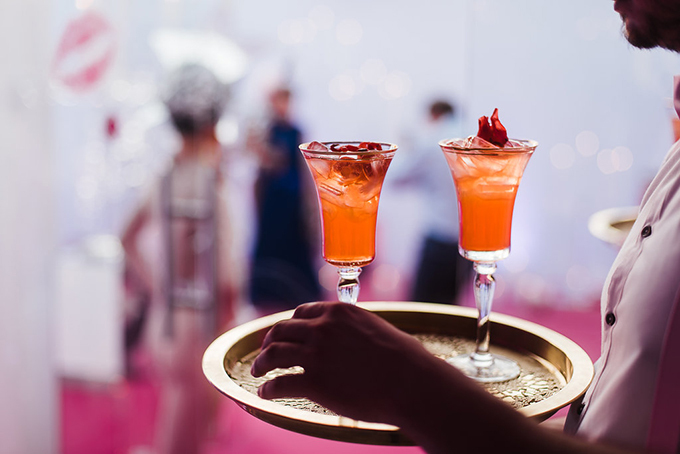 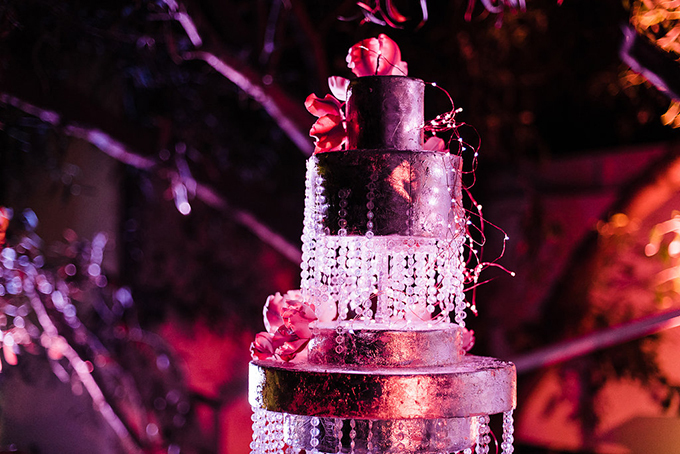 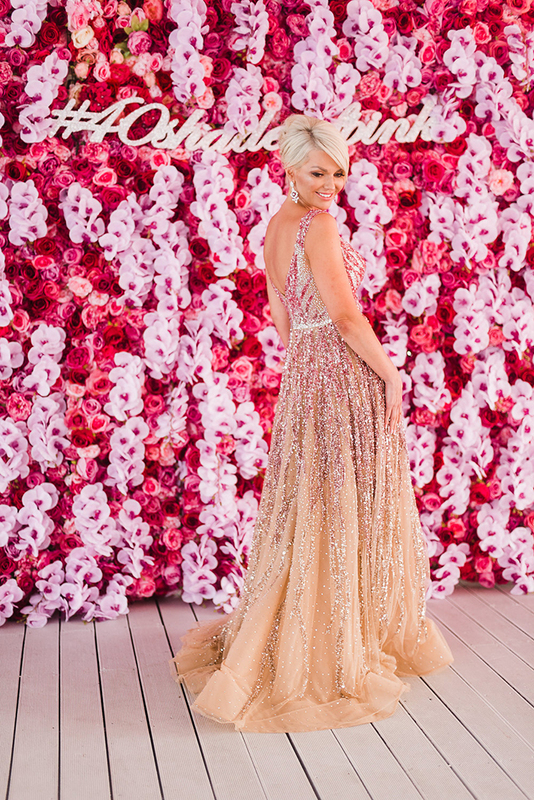 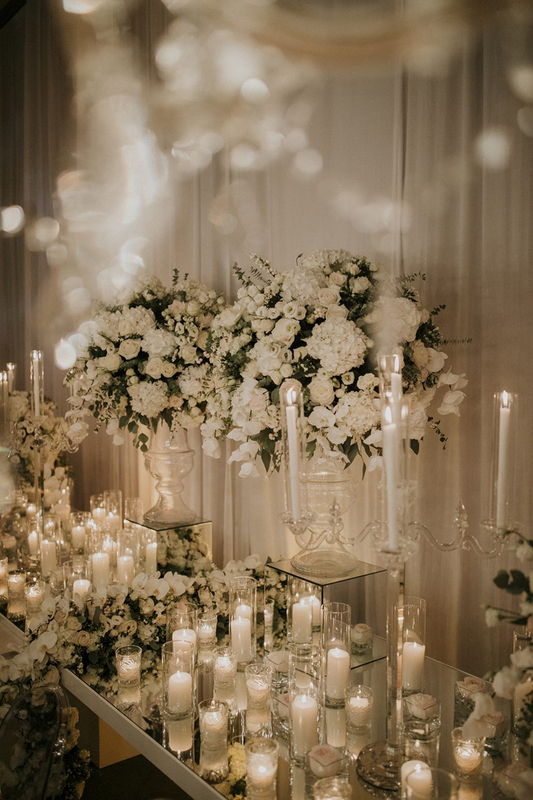 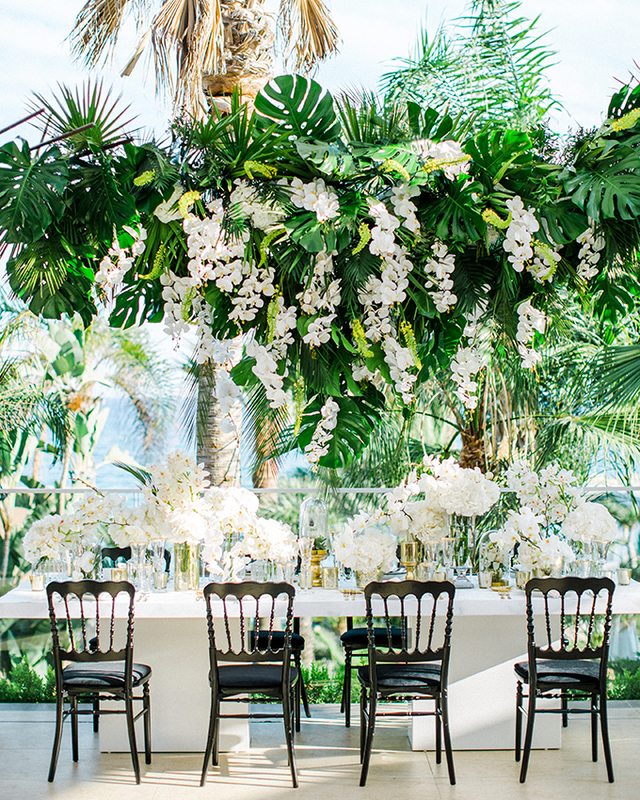 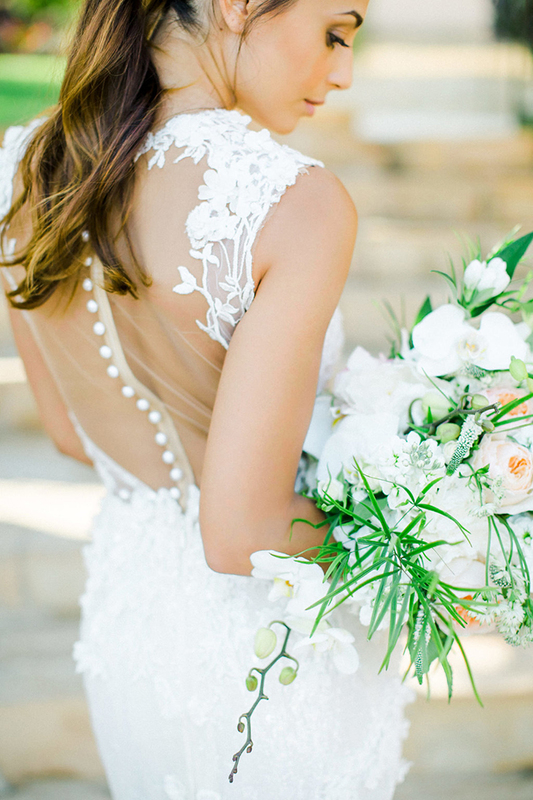 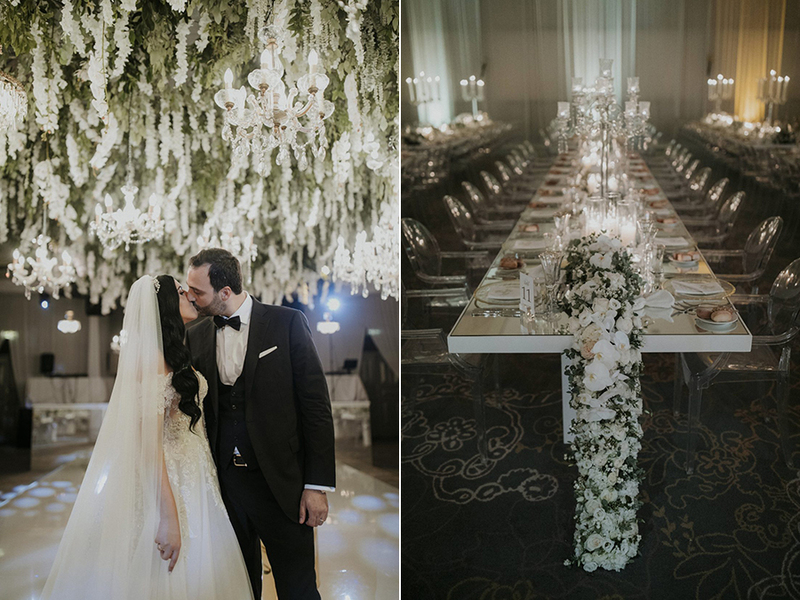 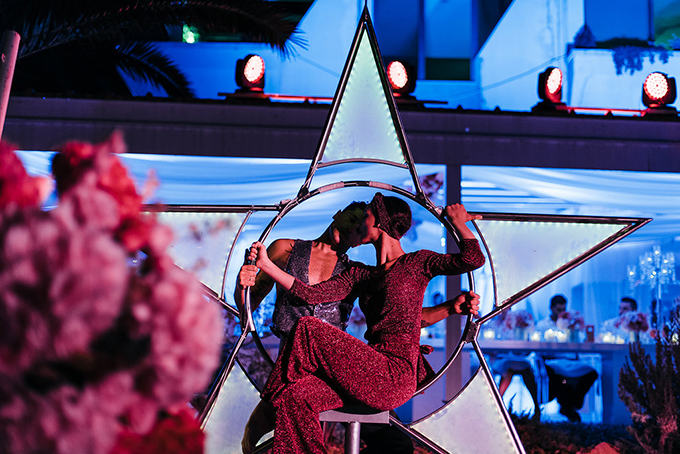 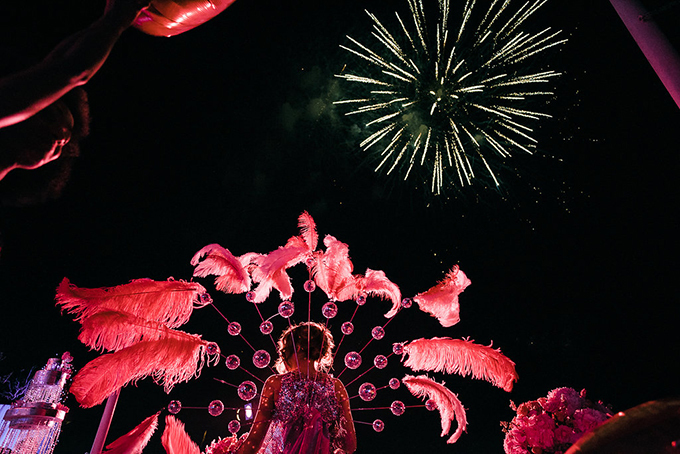 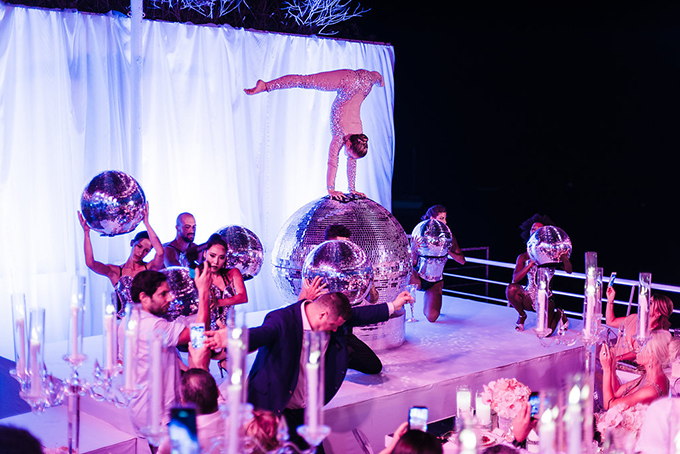 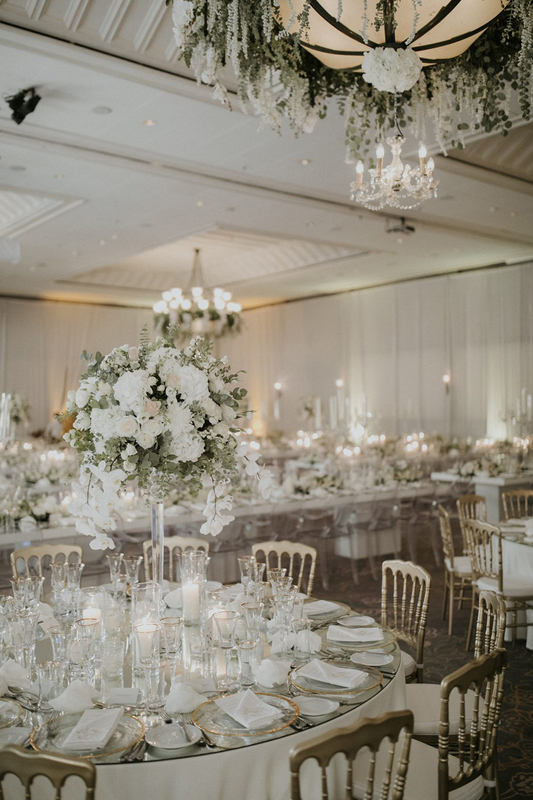 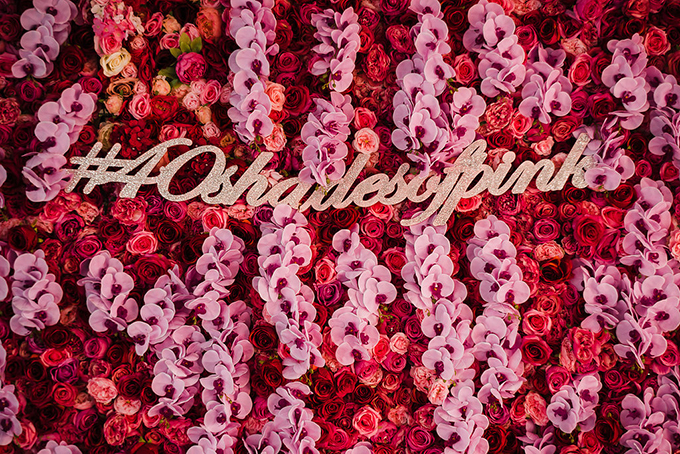 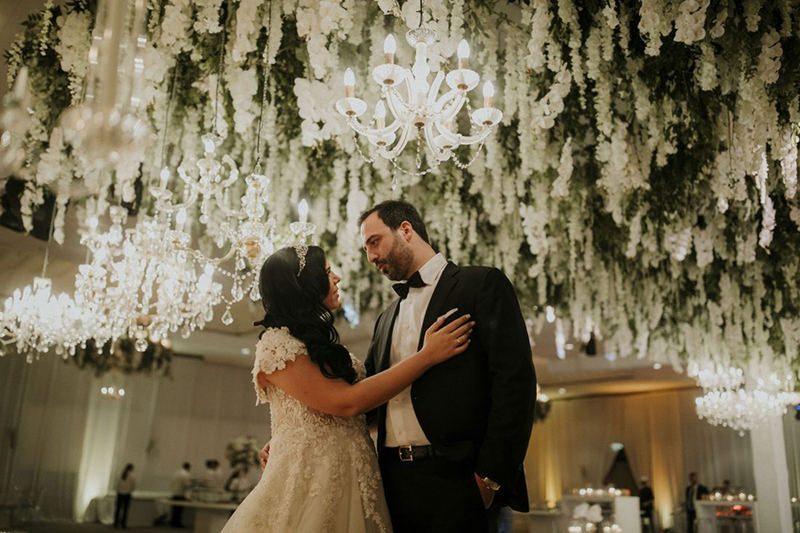 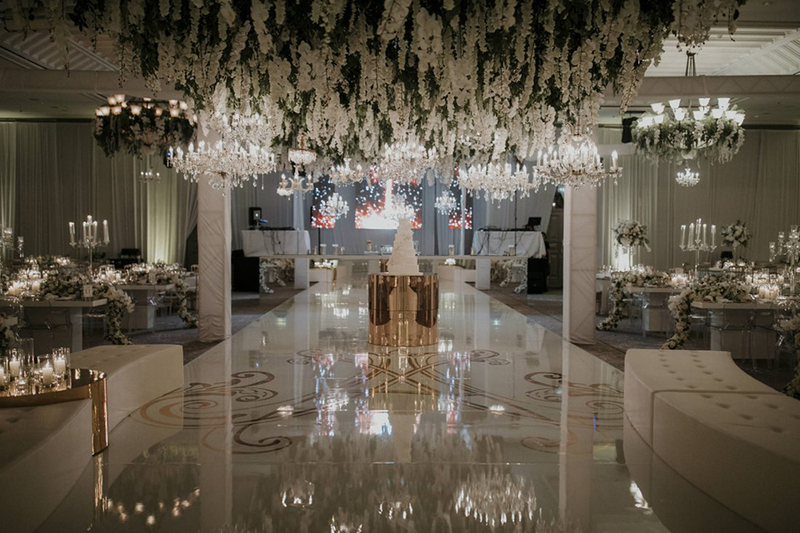 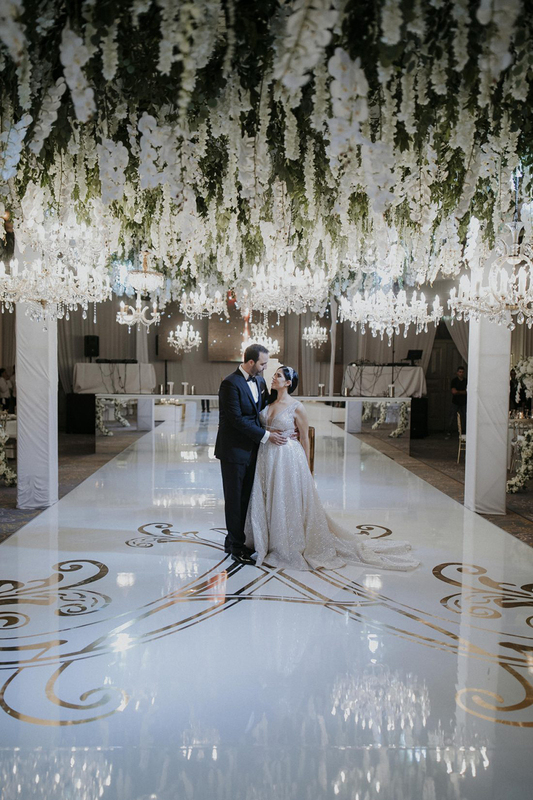 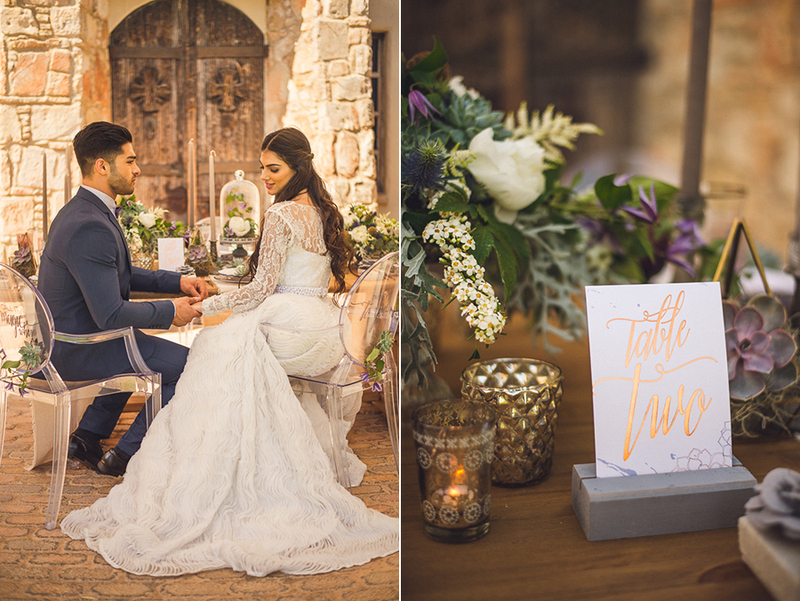 From the stunning floral decoration with lush hanging flowers to the decadent wedding decoration details, this timeless elegant wedding was definitely one of the events that will remain unforgettable.